Polished concrete: Polished concrete has a very beautiful look. The design is extensive and time consuming but you will always get value for your money. Stained concrete: Stained concrete tends to give your concrete floors and countertops a visually pleasing look. Staining is a modern treatment that drives away the dull colour that is in concrete finishes. Sealed concrete: Sealing concrete is the best ways to protect the surface from the normal tear and wear. You have to use high quality concrete sealant to get the best results. Stamped concrete: Stamped concrete produces different textures depending on your preferences. It is one of the best ways to enhance the visual appeal of your home. Concrete overlay: The number of people who are installing concrete overlays on their commercial and residential properties has been on the rise. The new surface offers maximum protection to your floors and countertops. Decorative concrete flooring: Gone are the days when concrete was only available in the grey shade. Decorative concrete gives your surface a shiny and beautiful look that you can think about. Metallic epoxy: Installing metallic epoxy on your concrete surfaces may seem to be expensive but it yields back. The surfaces come with a brilliant shine that significantly enhances the value of your home. Concrete countertops: One of the top materials when it comes to the manufacture of countertops is concrete. The material is fireproof and you can shape it into anything that you believe. Concrete sinks: Sinks play a critical role in both your kitchen and bathroom. It is good to install concrete sinks in your building if you want something that will serve you for a long period. Concrete summer kitchens: Concrete remains to be the best material for designing your summer kitchen. This material can withstand and kind of weather conditions as long as you give it the best finish. Concrete kitchen tables: There are so many people in the United States who are opting for concrete kitchen tables. The material is fireproof and will produce tables that can serve you for an extended period of time. Concrete conference tables: Concrete produces some of the best conference tables that you can imagine. The material is highly versatile and hence you can brand the tables as you so wish. Concrete driveways: Driveways face a high level of traffic and hence you need a strong material to build them. Concrete is among the best because it can withstand any amount of pressure. Stamped concrete: You need a highly skilled contractor to produce stamped concrete. The designer can choose any style depending on the look that you desire for your home. 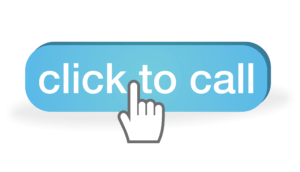 Driveway repairs: In case your driveway has potholes, a skilled professional will work on the repair work and give it an attractive and strong look. The uplift will make it to work as good as a new one. Patio resurfacing: Adding a new surface to your patio is an excellent way to give it a new look. Concrete retaining walls: The best material to use in building retaining walls is concrete. This is an outdoor structure and hence you need a material that will not lose its value fast like concrete. Waterfalls and/or pool water falls: If you own a hotel, luxury homes, resorts etc, you will need a waterfall at some point. The flow of water creates a beautiful and fresh environment in your property all the time. Pool spill over bowl: Pool spill over bowls come in various shapes and designs. Artists can use the concrete material to get you one depending on your desires. 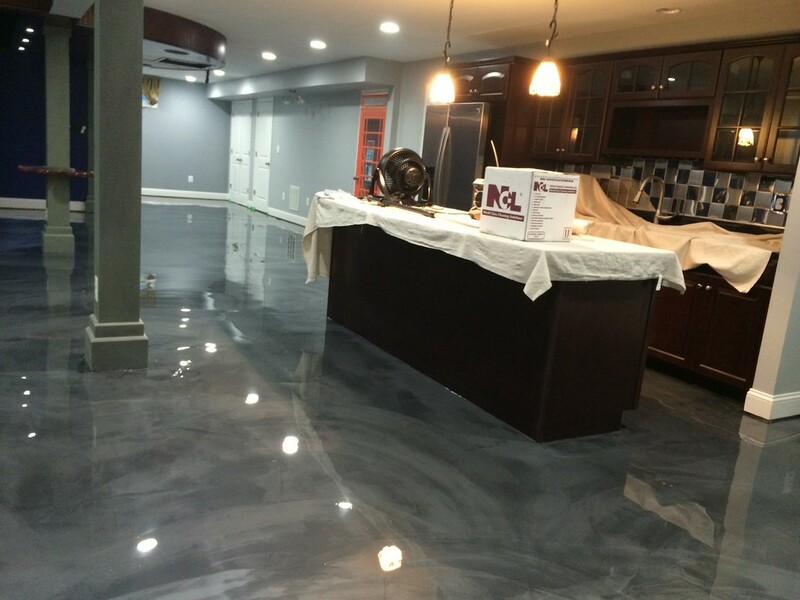 Epoxy Floor Systems: Epoxy floors are top on the game when looking for the best finishes for your concrete surfaces. Concrete Pool Decks: The concrete material makes the best pool decks as long as you have the right contractor working on it. Pool Deck Resurfacing: The best way to give your pool deck the best finish is through resurfacing. It will make it durable and stand out in the neighbourhood. Custom Staining: Custom staining gives the concrete surfaces any kind of shade and finishing that you can imagine. 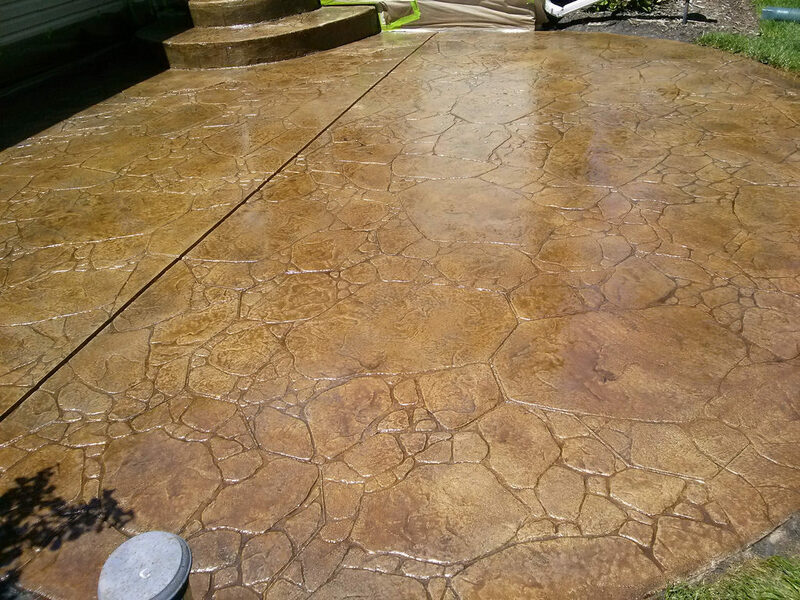 Acid Stained Concrete: Acid staining is an excellent finishing to your concrete surfaces as it eliminates the dull look and gives it a new appearance.